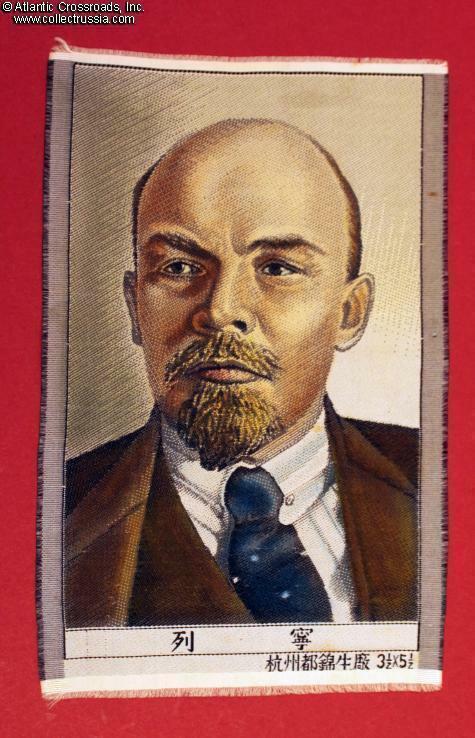 Portrait of Lenin, silk tapestry, circa 1940s-50s. 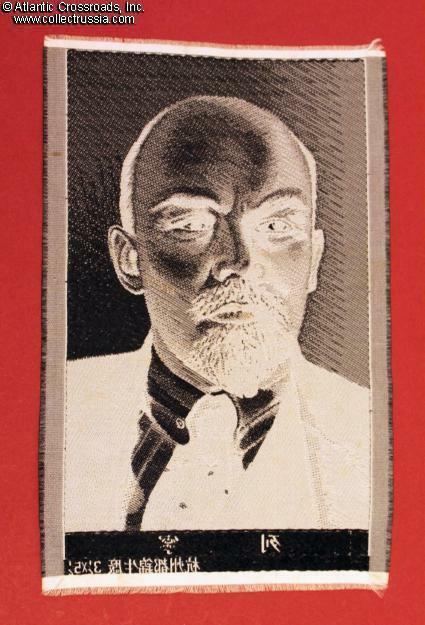 Image area 3 1/2" by 5½". Made in People's Republic of China. Delicately hand colored at the factory. Excellent quality and condition.